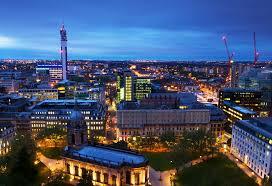 Birmingham is ranked 51st best student city in the world and the 64th most affordable. The cost of living is almost 22% lower than in London according to topuniversities.com 2018. In terms of student housing the average rent can range between £50 to over £66 a week according to Save the Student 2018, but this depends on the location and quality and can be far higher. Birmingham’s higher education sector is booming with five universities: Aston, The University of Birmingham, University College Birmingham and Newman University College. Aston ranked 49th in The Top University Rankings 2018 and The University of Birmingham ranked 16th. Students will have plenty to explore during their down-time. Star City is an entertainment complex just 10 minutes from the city centre and features a 30-screen cinema (the biggest in the UK). There is also a laser station and 22 lane bowling alleys, as well as a multitude of food and drink venues. The city provides a diverse selection of food establishments to appease every palette. Jilabi Indian Restaurant serves authentic dishes and is praised for its excellent service and reasonable price points. The Meat Shack also offers a funky burger joint with a great atmosphere and lovely food, the epitome of comfort food that will cure any hangover. Birmingham is a compact city meaning getting from club to club is no hassle. The club scene in the city is huge, so huge that there is something that appeals to everyone, with the best DJ’s in the country and weekly raves you won’t want to miss out on. Walkabout – An Australian themed bar that attracts party-mad crowds for an unforgettable night. The Night Owl – A retro-themed nightclub that takes you back to the good old days, featuring beats from the 60s, 70s, and 80s. Lab 11 – Has a reputation for hosting some of the wildest parties in town, throwing heaving house-themed nights with renowned DJ’s. The capital of Scotland is the 16th best city to be a student according to the table produced by QS higher education for 2018. Edinburgh has an internationally diverse community of students and offers a high standard of education. The University of Edinburgh is ranked joint 23rd in the QS World University Rankings 2018. The city has breath-taking landscapes, vibrant nightlife and eclectic bars; however, students will be faced with a high cost of living. Student accommodation can vary between £59-£250 per week. 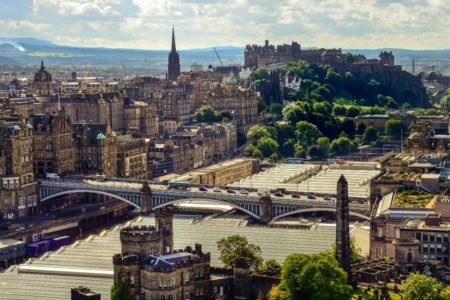 The latest student accommodation report from Cushman & Wakefield reveals that En-suite space in Edinburgh rose by 9% to 9,986 available beds, with a 28% increase in studio rooms to 1,810. Tourists flood The Royal Mile, Edinburgh’s famous street, stopping at the traditional Scottish Pubs that charge way more than a traditional Wetherspoons pub. The Royal Mile has four free museums, two are most definitely worth a visit, Edinburgh Writers Museum, which celebrates the lives of three of Scotland’s most famous writers and The People’s Story, which tells the history of the Capital and its people. Edinburgh is renowned for the annul Fringe Festival in August, a large arts festival that attracts visitors from around the world. Thousands of performers take to hundreds of stages all over the city to present an artistic extravaganza. If that’s not enough, there’s no shortage of shopping in Edinburgh. Princes Street and George Street are the prime destinations for any fashion lover. Scotland is known for its occasional rainy days, so if you want to shop but keep dry then visit the Ocean Terminal - a new shopping centre with plenty of places to eat and which features a multi-screen cinema. If you’re a food lover, then Edinburgh won’t disappoint. The magnitude of restaurants ensures all tastes are catered for. For all you international students Whiski BAR & Restaurant is one to try, serving traditional Scottish options and, this authentic restaurant is praised for its ‘awesome vibe’ and ‘tasty food.’ Dishoom is also a highly-rated Indian restaurant, known for its great cocktails and spicy, delicious curry. Edinburgh’s nightlife rivals its neighbouring Glasgow’s with its quirky bars, pubs and clubs. According to targetcareers.co.uk Edinburgh has one of the highest densities of pubs and bars per square mile in the UK. The Liquid Room (Old Town) – An underground dance venue with 2 floors and balcony. Cabaret Voltaire (Old Town) – One of the best underground dance clubs in Edinburgh, featuring reasonably priced drinks and great music. The Bongo Club (Old Town) – If hip-hop, electronica, funk, soul, house and disco is your jam you’ll love this option. Lulu (City Centre) – Get dressed up and head to this trendy venue on George St, underneath popular Tigerlily. According to new data from the QS Best Student Cities Glasgow was placed 43rd on the list out of 125 cities. In addition, the University of Glasgow was ranked 36th in The World University Rankings. 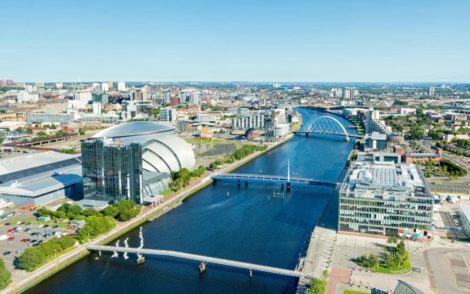 The latest student accommodation report from Cushman & Wakefield shows the number of en-suite spaces in Glasgow rose by 17% to 8,812 student beds, while the number of studio rooms has gone up by a quarter to 3,132 for 2018. Glasgow has an excellent range of universities, such as Glasgow University, The University of Strathclyde, Glasgow Caledonian and Glasgow School of Art. For those of you film buff, you’ll feel like you’ve walked on set of a Harry Potter movie when you visit The University of Glasgow. The stunning grounds look like something straight out of Hogwarts. The culture in Glasgow is considerable with many museums and art galleries to peruse. The Kelvingrove Art Gallery and Riverside Museum are exquisite. The Botanic Gardens are also a well-known tourist attraction. Eating out in Glasgow is a welcome challenge as there’s so many options to choose from. It all depends on what you feel like, a hip eatery in Finneston or some fine dining in the West end, but you’ve also got all the restaurants in the city centre. Glasgow is a party city with buzzing student bars and cheap student deals. Let your hair down and head to Ashton Lane, Byres Road or Sauchiehall Street for a quality night out. There so many pubs and clubs that you won’t know where to even begin… so I’ve narrowed it down to some of my top picks! Driftwood - A no.1 spot for pre-drinks on a Thursday or Saturday night. Playing the best throwback tunes and offering the cheapest drink deals, with £3.50 for any cocktail, or a spirit and a mixer for just 95p. Tingle – Another great way to start off any night out is right here. Tingle is a quaint shot bar with great prices, contemporary music and lively atmosphere. The Garage – Scotland’s largest nightclub with 5 rooms playing a variety of music ranging from Indie to Pop. Bamboo – Basement venue nightclub with three rooms, each playing a different genre of music, R&B, Indie and chart. "Glasgow is a big city with a lot of character. If you love a night out, friendly Scots and a historic University you will love it here. Living in the west end is a must for Glasgow University students, which comes with a great vibe." Student Hut 2018. Having discussed the many attractions that each of the 6 cities have to offer, it is clear as to why the student populations are drawn to each of these destinations. Endless entertainment, high-quality education, nightlife and culture are all heavily encompassed into each city’s identity making them a hot-spot for the dynamic youth culture. I hope you’ve enjoyed my last couple of blogs, should you need any further information please feel free to reach out.